Communities across the north are particularly vulnerable to climate change, and as such, adaptation planning has become a necessary reality in order to ensure sustainability into the future. Felt across the natural landscape, changing access to country foods and travel, impeding local infrastructure development and planning, as well as rendering existing capacity inadequate, climate change impacts are pervasive. Many local governments are already at the centre of this reality, with the effects of melting permafrost still largely unknown (ICLEI Canada, 2011). Climate Change impacts on permafrost regions are being monitored as many northern First Nations and Inuit communities reside on these sites. Land areas that are unstable upon thaw (land erosion, slope failure) pose a concern as they may have safety implications for existing homes and infrastructure. Understanding the changing landscape is also important for communities as they rely on the land to safely hunt, gather country foods, travel to see loved ones, and for healing. 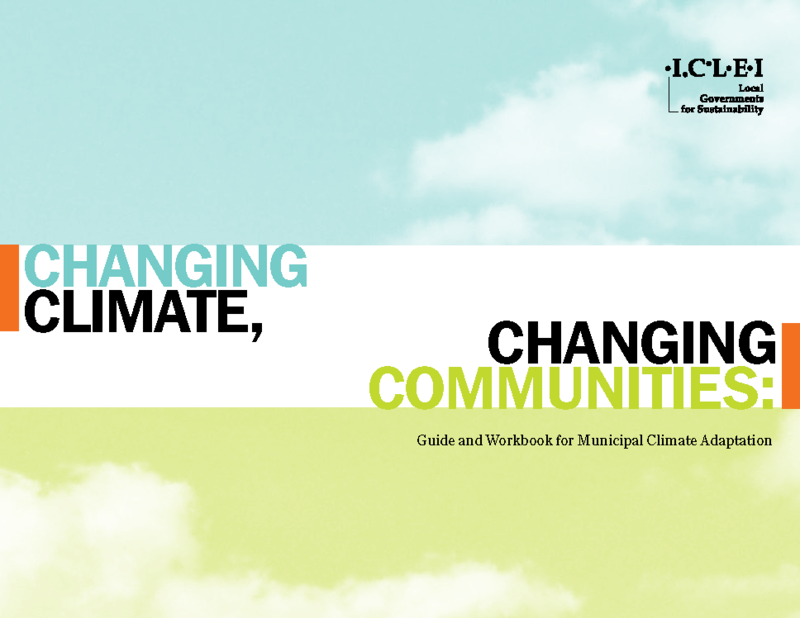 In order to prepare for and adapt to our changing environment, adaptation planning is a balance of immediate and long term needs, and many communities will need to develop a holistic response to such needs (ICLEI Canada, 2011). A holistic response involves the coordination of and collaboration with various partners across the north, including community members, Elders, youth, local governments, service providers, and scientists. Moreover, given that climate change impacts are felt across boundaries, it is increasingly imperative that partnerships and collaborative efforts are made in order to create sustainable action plans. Indigenous Services Canada’s Climate Change and Health Adaptation Program proudly supported 18 community-led projects on adaptation planning from 2008-2016. Many of the community-led project activities included vulnerability assessments, short-term and long-term monitoring, and the establishment of baseline data. Northern communities recognize that changes to the land are having impacts on their way of life and are working towards finding means to connect the guidance of the past with the new requirements of life today. Their stories tell of ways in which traditional and scientific knowledge are collaborating to provide greater insight into climate change impacts, and how they are adapting to these changes to ensure the health and well-being of their communities. Click on a link below to check out how these communities are engaging in climate change adaptation!